Cryptosporidium parasites in the water? Have you been ill following a package holiday to Mexico and do you suspect that the illness was caused by the hotel? If so, Simpson Millar’s Holiday Compensation Lawyers can offer you free initial advice and may be able to recover compensation for you. If you suffered from illness or sickness due to poor hotel standards then contact us without delay to see if you can claim. Playacar is known for its idealistic beaches whilst Tulum is a famous Mexican archeological site and is renowned for its ruins as well as its beaches. Many of the hotels in these resorts are provided on an all-inclusive basis and operate to a very high standard. Illnesses can however become a problem when standards are allowed to slip, especially when a hotel is looking after and catering for a large number of people in a confined area. Poor hygiene can lead to illnesses such as salmonella, campylobacter, cryptosporidium, e.Coli or Giardia to be reported. Simpson Millar’s Holiday Compensation lawyers monitor the following hotels for signs of illness and sickness outbreaks. Campylobacter Fact: Campylobacter can cause a holidaymaker to experience various symptoms including fever, diarrhoea, and stomach cramps. When viewed, the bacteria appear to take a spiral shape. Transmission can occur through ingesting contaminated food or water. Simpson Millar’s team of Holiday Compensation lawyers are well known in the travel industry and to the major tour operators, having already secured compensation for thousands of holidaymakers that have suffered from sickness and illness. Simpson Millar’s Holiday Claims lawyers ONLY handle travel related claims. This means that if your claim is taken on, it will be dealt with by a specialist that understands your claim and has experience of dealing with claims of this kind. 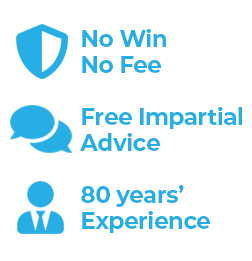 For FREE initial advice as to whether you can make a claim – CALL US TODAY. There are NO OBLIGATIONS and we will provide you with practical and straight forward advice. Please dial 0808 145 1353 or contact us via our web based enquiry service.